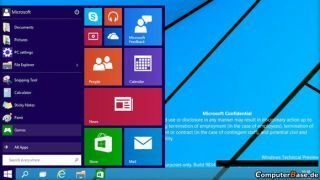 Windows 9: New ways to build, test, release and update coming? Is Windows 9 in for a major evolution? Microsoft may have learnt its lessons after all. Rather than just focusing on the front-facing user interface, the software and services giant has apparently been doing a lot of work in the back end. The tantalising result may change the way we experience Microsoft's operating system. According to ZDNet's Mary Jo Foley, the OS group has come up with new mechanisms to (a) to gather user feedback (b) test new features, and (c) roll out new functionalities and fixes. Whether that also means providing a new way to roll out entire operating systems (like Apple and its Mac App Store) remains to be seen. Foley reckons that there might be only a few weeks between socalled milestone test builds of Windows with weeks-old code being pushed as soon as it is ready. The fundamental shift is that Windows is being seen as an ever-evolving service, rather than a fixed application, as part of Microsoft's CFMF (Cloud First, Mobile First) strategy. A fundamental cog of Windows-as-a-Service is the Halo/Sci-Fi-influenced real-time telemetry system called Asimov that, according to Foley, allows the OS team to see what's happening in near real-time on users' machines. That solution was apparently built by the Xbox team before being adopted by other parts of Microsoft for testing new features. Windows 9 might well be the last true Windows, in the traditional sense. What comes after it might be an always-connected, always-updating, cross platform operating system. Microsoft will shed more light on Windows 9 later today in a special event to be held in San Francisco. What can we expect from Microsoft's event later today?